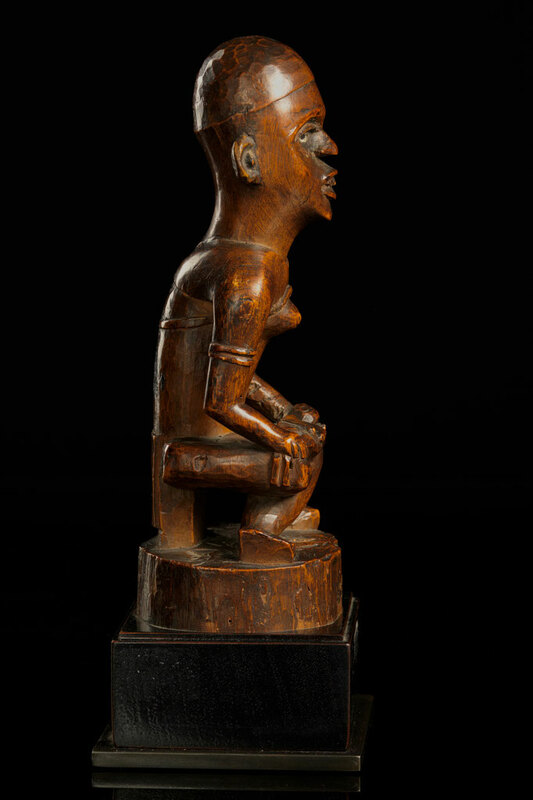 Mother figure with crossed legs sitting on a small stool. That on his knees, the view into the distance. She wears a knitted headdress and bracelets - attributes of a chief's wife. The open mouth shows her pointedly filed teeth. The object shows convincing signs of age and has an impressive patina. The left ear has been professionally restored in the past. Henry (Henri) Pareyn started collecting African art (largely from the Congo) in the 1890s. Based in Antwerp, he amassed huge collections. 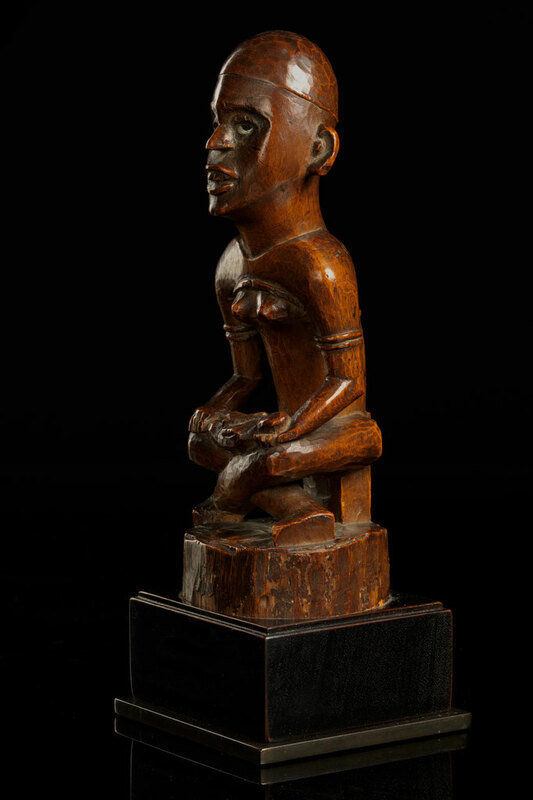 Two major sales took place during his lifetime: in around 1910 and notably, in 1920 when the City of Antwerp purchased 1600 'Congo objects of all kinds' which formed the basis of the Antwerp Ethnography Museum's Central African collections. 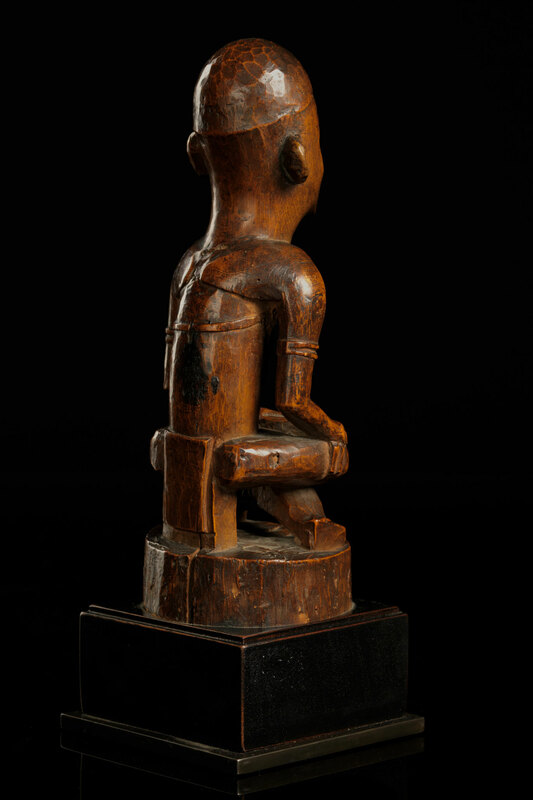 After his death in 1928, his widow offered his entire collection to the City of Antwerp for 350,000 Belgian Francs. 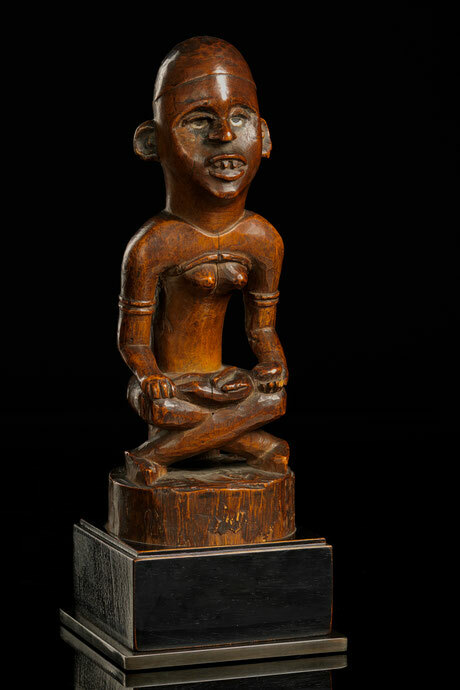 This offer was declined and the collection was put up for auction at the Grand Hotel, Antwerp in December 1928. 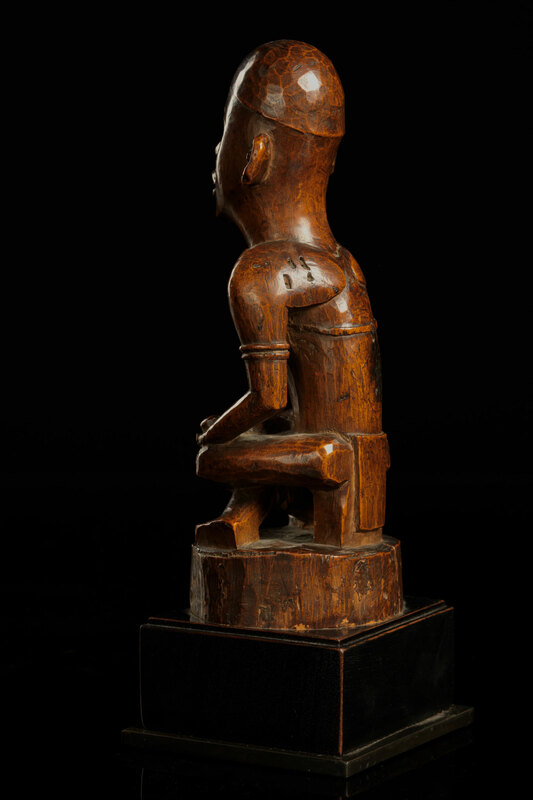 This 5 day auction with almost 2,000 lots raised 2,000.000 Belgian Francs. 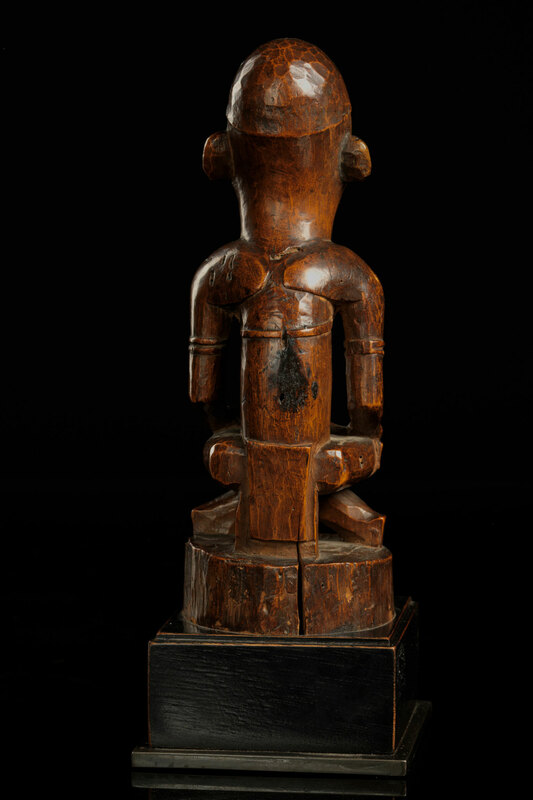 Many of the lots were sold to external buyers, including Sir Henry Wellcome.